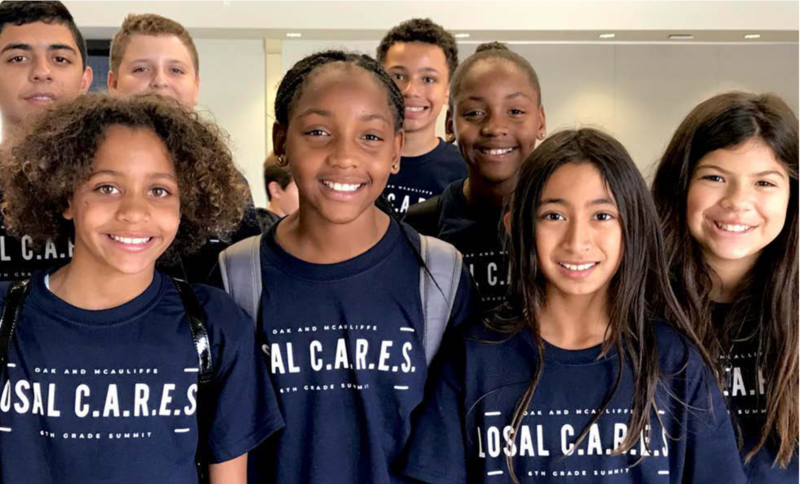 All Los Alamitos Unified School District sixth-graders spent an entire day recently examining who they are as people and how they can join together to support and encourage one other. 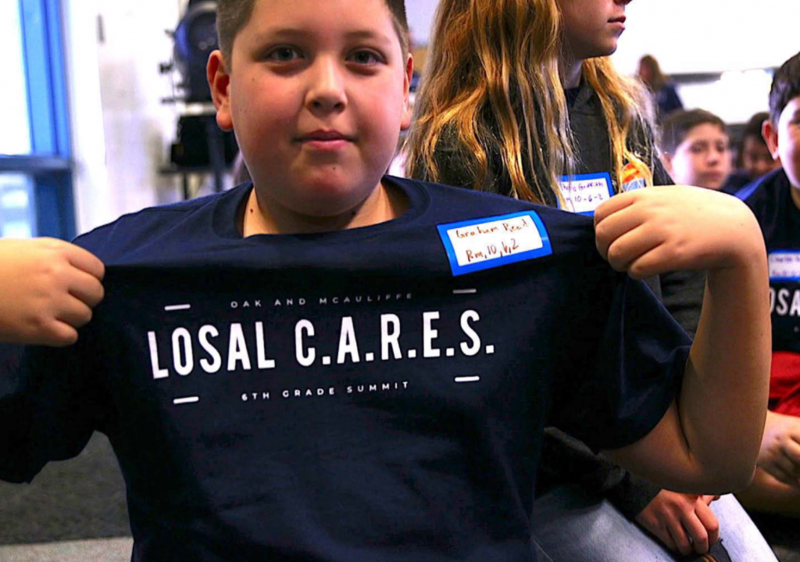 The students participated in the district’s first Sixth-Grade Summit, part of the C.A.R.E.S. Program (Compassion, Action, Responsibility, Empathy, and Support) taught by sixth grade teachers at McAuliffe and Oak middle schools. The teachers had been trained a few weeks earlier by Embassy Consulting Services LLC, a human relations training firm run by long-time district parents, Josef Levy and Lysa Gamboa-Levy. The summit provided an intensive, one-day training for students in a wide range of interactive social and emotional learning skills, including character education, communication, team building and conflict management. All the lessons were designed to provide students with a foundation to increase positive classroom and school-wide community behavior and academic performance. In addition, students also took a brief journey through the peculiarities of the adolescent brain, learning about the amygdala’s role in regulating emotion and how the hippocampus may affect how they process conflict. They also learned some techniques that can help them pause, focus their thoughts, and reflect before they act. “We all should take a mindful moment before making big decisions,” said Oak student Juliet Nelligan. 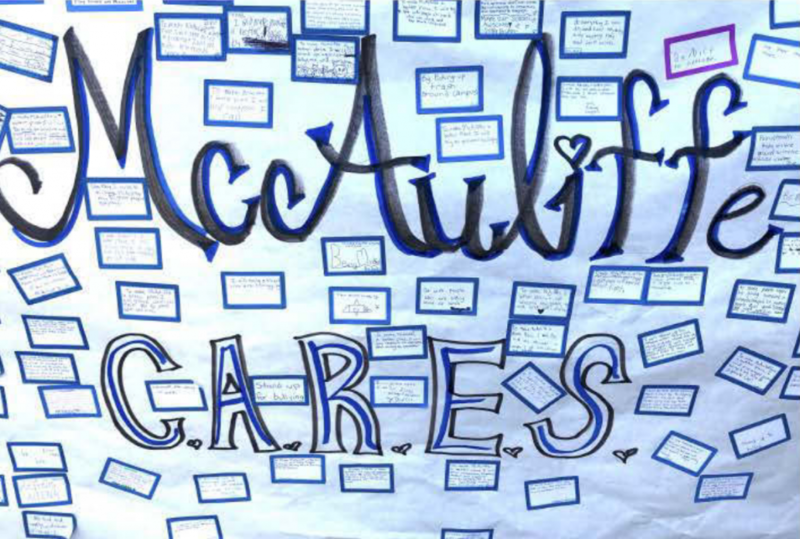 Milani Tuinei contributes her post-summit commitment to those of her fellow McAuliffe students. 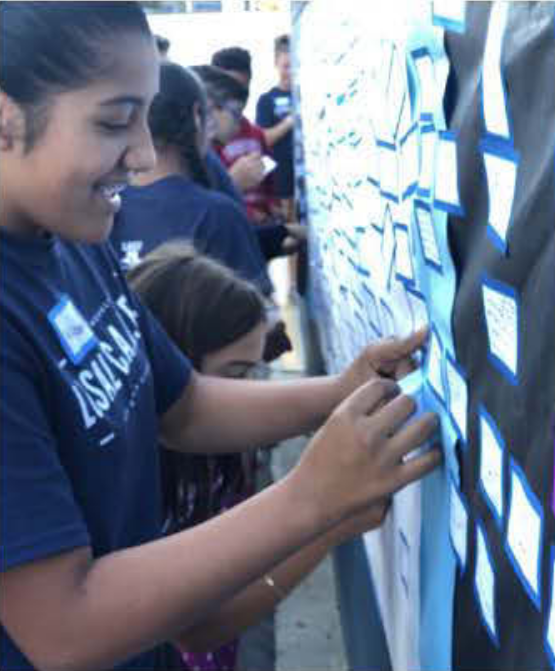 Los Alamitos Unified plans to expand the program to all middle-schoolers so that students are even better prepared to integrate into the larger and more complex social world of high school. 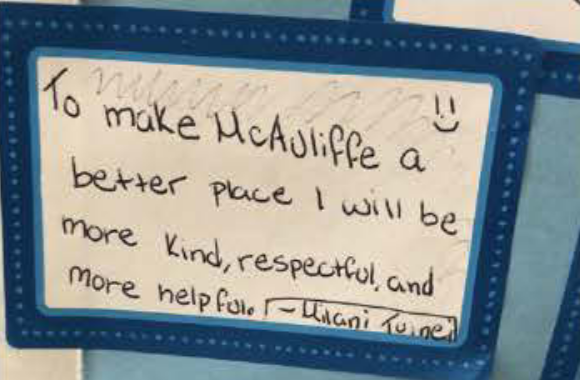 McAuliffe students contribute human relations commitments to school wall. 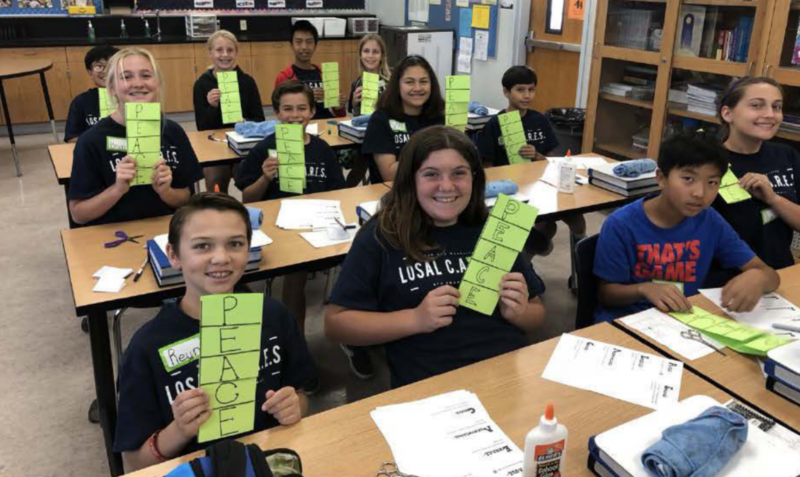 McAuliffe students learn skills for PEACE – pause, exhale, acknowledge, choose, engage. 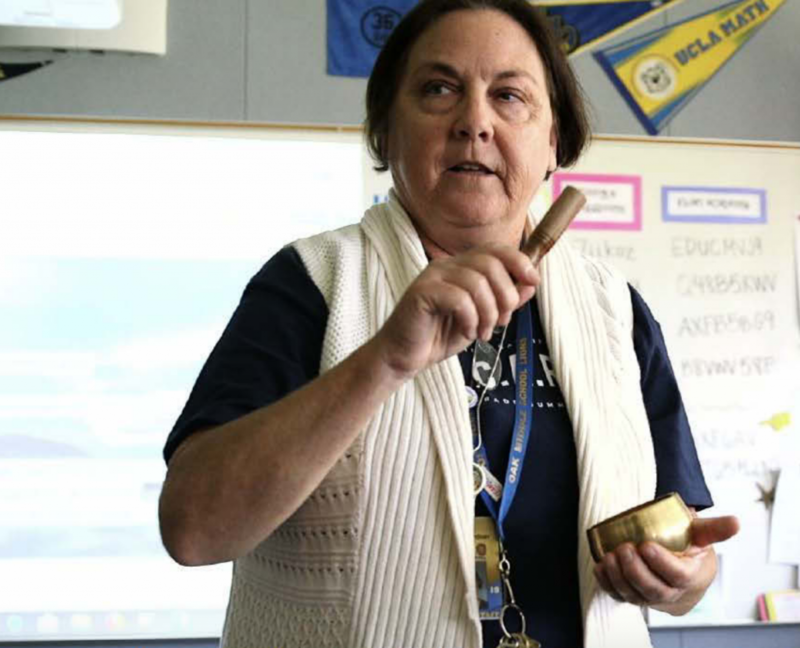 Oak teacher, Juliet Gardner, strikes a singing bowl to give sixth-graders a sound for focusing thoughts. Oak campus supervisor, Sicola Elliott, celebrates during a team building exercise. 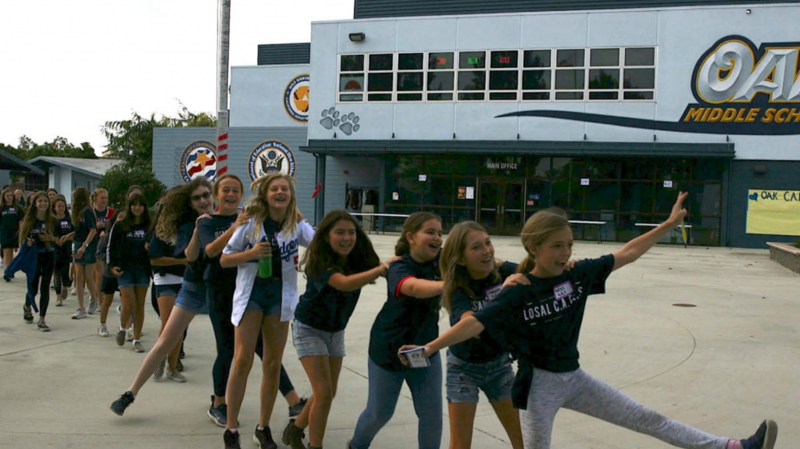 Enthusiastic Oak Middle School sixth-graders students arrive for summit assembly. Oak student, Graham Reed, shows off his summit shirt.